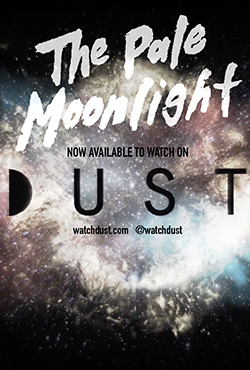 THE PALE MOONLIGHT is now available to watch for free on DUST, the Best Sci-Fi Short Films in the Universe. Follow the link below to watch it now! Go behind the scenes or watch our trailers now! Read bios of our amazing ensemble cast. The Pale Moonlight is now available to stream on Dust, the first multi-platform destination to experience stunning visions of the future from filmmakers of tomorrow. Congrats to all our cast and crew!! After four years, it's wonderful to see TPM continue to entertain film fans. 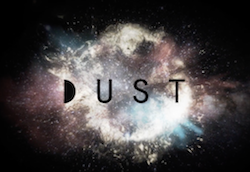 Dust features the best sci-fi short films, series, and innovative content that cuts through the present to invite the future. We're thrilled at the opportunity of having our humble little film shared to new audiences across the globe, and it's fantastic to see the great reviews and feedback from viewers! A massive thanks to all the team at Dust, and make sure you check out their catalogue of brilliant films, available to watch right now on their Youtube channel. Thrilled to announce today that THE PALE MOONLIGHT has been selected to feature as part of the Sydney Lift-Off Online Film Festival! The film will be available for viewing on Vimeo On-Demand as part of a series of films that make up the festival for 2016 from Monday, November 7th, and it will be live until the weekend of November 12th. Learn more about Lift-Off here, a network of global film festivals that nurture independent filmmakers through a unique, industry-focused approach. Stay tuned for more updates on how you can help support TPM at Lift-Off 2016! THE PALE MOONLIGHT has been selected as today's Daily Short Pick at Film Shortage! Film Shortage curates fantastic short films from across the globe, and it's super exciting to have been chosen by them. You can check the film out at Film Shortage here. This is just SO cool! We're having trouble articulating how big a thanks we want to give to everyone that voted for, liked and most importantly watched the film! We're thinking universe-sized thanks here. We're already thrilled at the fantastic response the film has had on Vimeo since the voting campaign last week. This is only just the beginning of our web campaign and we're so pumped about reaching new audiences across the globe. 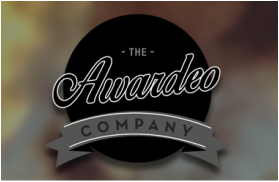 We're excited to announce that THE PALE MOONLIGHT has been selected to compete in Awardeo's VIDEO OF THE WEEK competition on Vimeo. Please VOTE FOR TPM and help us to get Video of the Week!!! Voting is easy...simply visit this link and click vote - you can vote via Facebook or Twitter and it only takes 30 seconds!! YOU CAN EVEN VOTE TWICE!!! THAT'S RIGHT -- T W I C E !!!!! Voting closes 4PM Wednesday 21st October (AEST). Thanks for all your support! VOTE HERE NOW. In this new spotlight video, meet our production design team and discover the secrets behind TPM's sets, props and aesthetic. 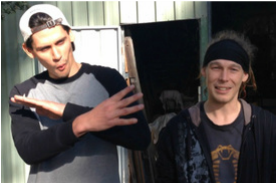 Check it out now on our ﻿videos﻿ page. In celebration of our HollyShorts screening today in Hollywood, we're excited to launch our all new official movie website for THE PALE MOONLIGHT. This is where you'll find all the latest news about the film, our festival campaign and screening updates. Make sure you check out the cast bios, videos or learn more about the festivals we're playing at. Our media section will also aggregate any reviews, blogs or news articles about the film from the web and beyond. So grab a coffee, relax and start exploring! 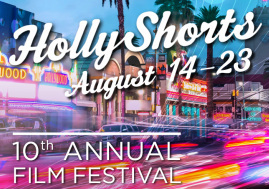 THE PALE MOONLIGHT has been invited to play at the 10th Annual HollyShorts Film Festival in Los Angeles. This will mark its U.S. Premiere at the TCL Chinese Theatre in Hollywood, CA. 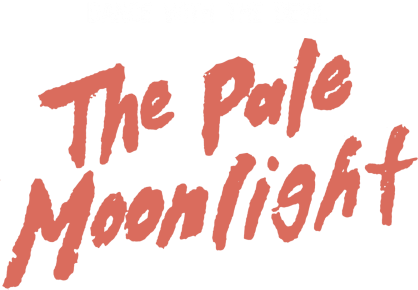 THE PALE MOONLIGHT screens on Sunday 17th August @ 7:30pm as part of the Sci-Fi Showcase section. Tickets are now on sale here. 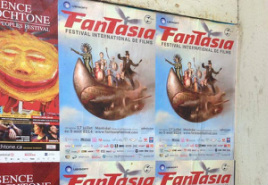 As we wrap up our amazing time at the Fantasia International Film Festival in Montreal, make sure you check out all our photos and updates from the event at our Facebook page here. 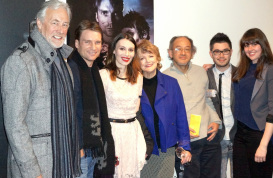 THE PALE MOONLIGHT enjoyed its world premiere at the 18th Fantasia International Film Festival in front of a sensational crowd in the sold-out Concordia Hall Theatre. Screening with the thrilling new time travel flick PREDESTINATION by Australian directors The Spierig Brothers, TPM was incredibly well received by festival goers. Director Tin Pang was in attendance in Montreal to introduce the film, as well as take part in the 3rd Fantasia Industry Rendez-vous and the 15th Frontières International Co-Production Market.